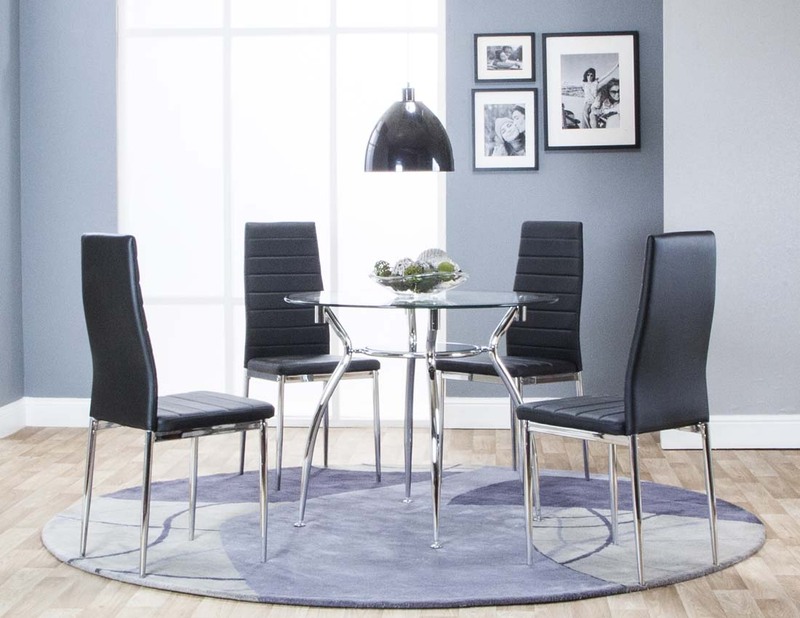 The transitional style of the Dabny dining collection brings durable materials and great design together. 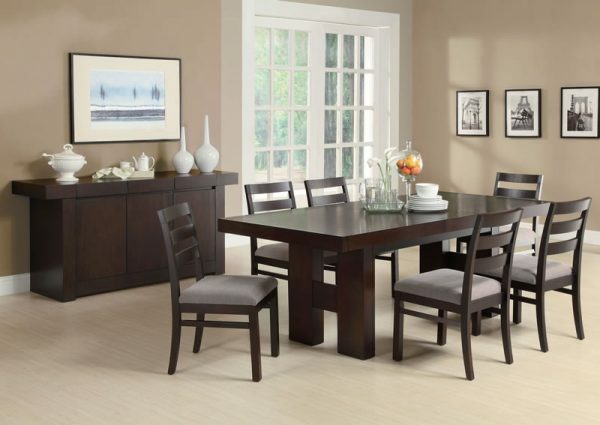 Constructed of ash solids and hardwoods, the dining table and four side chairs of this set are finished in cappuccino. 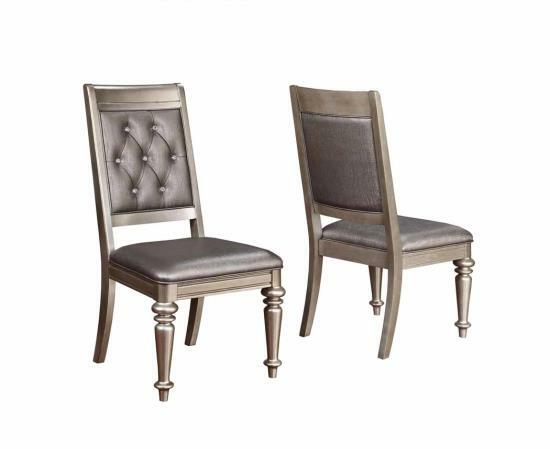 Two large, straight-lined pedestals support the long table while the chairs sit on thin legs that curve slightly outward. The contrast adds interest to an otherwise simple design. A plush upholstered seat cushion adds comfort. 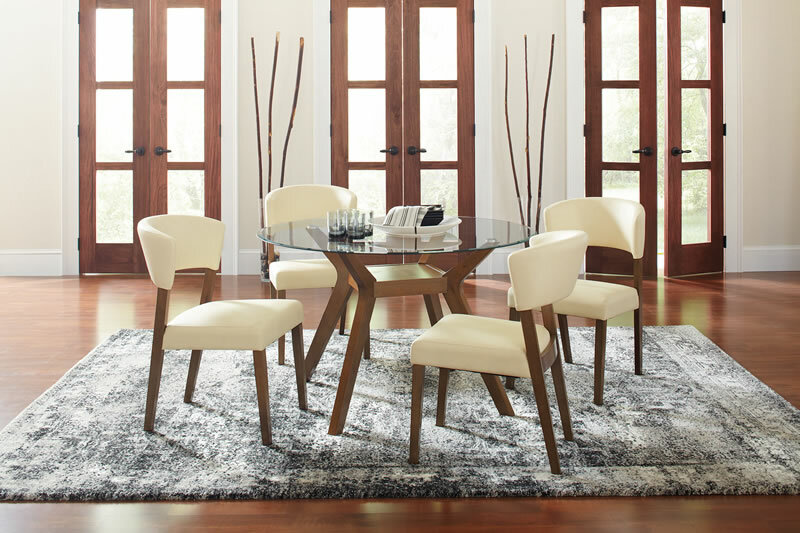 Versatility comes in the form of the adjustable length of the table via a pull-out extension leaf.